The Mang project, part of the European Commission’s BEST preparatory action, is funded by the French Development Aid Agency. Implemented by the public interest group Aten (Atelier technique des espaces naturels, Technical Workshop for Natural Areas) and by the Conservatoire du littoral (French coastal protection agency), the project aims to encourage collective momentum for the preservation of European overseas coastal wetlands. 8 pilot sites in Saint-Pierre and Miquelon, Saint-Martin, Saint-Barthélemy, Guadeloupe, Martinique, French Guiana, Mayotte and Réunion, and more broadly any neighbouring Outermost Region (OR) or Overseas Country and Territory (OCT) wishing to join the network. operational solutions must be found for the need to improve knowledge and adapt tools. 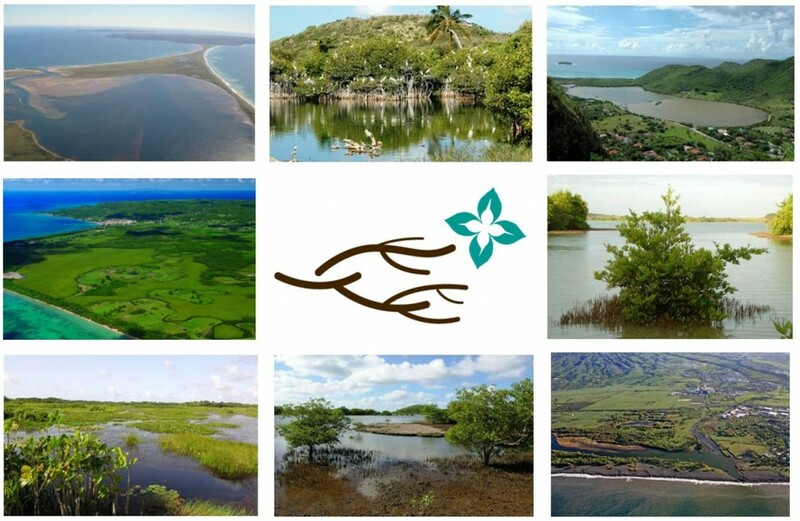 several European overseas coastal wetlands have been recognised internationally (Ramsar Convention, MAB, etc.). encouraging collective movement for the preservation of European overseas coastal wetlands. Analyse existing documentation, to determine the initial status of the sites. Carry out diagnostic testing on the biological compartments, water and sediment, to add to the available data. These diagnostic tests will allow for a better understanding of how the sites operate and help determine their ecological status. Based on these elements, and in cooperation with the players in the territories involved throughout the first phase, a simplified management plan will be drawn up for each site. Drawing up a diagnostic testing methodology applicable to all sites and easy for managers to implement, combined with a decision-making tool for completing the diagnostic testing. Proposing simple and standardised follow-up protocols, which meet local and regional needs, creating a toolbox. On the diagnostic toolbox, governance and follow-up, established in phase 2.